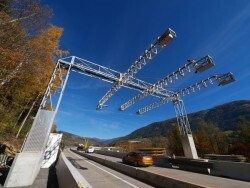 Austrian listed electronic toll system provider Kapsch is the only bidder for the establishing of an electronic toll system for trucks in Slovenia. At its regular session, the Government also approved the draft Act Governing the Rescue and Restructuring Aid for Companies in Difficulty. Poland’s economy is the biggest among the younger member states and continues to grow even with the current recession. Rating agency Fitch has downgraded the creditworthiness of five Slovenian Banks. Since Greece, Spain and Cyprus are currently finding themselves in disastrous economic situations, Slovenia does not want to seem like the next bail-out candidate. According to the National Bank, the new government in Slovenia needs to avoid becoming the new setting of bail-out negotiations with the EU after the banking crisis in Cyprus. The banking system’s total assets were down by € 88.5m in January or 6.6% y/y. 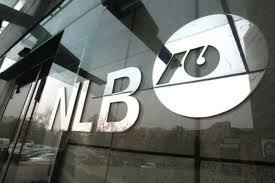 The banks repaid liabilities to foreign banks in the amount of € 171m and to the Eurosystem in the amount of € 78m. In January 2013, compared with December 2012, the production in construction in the Eurozone was down by 1.4% and down by 1.3% in EU27-states. Slovenia experiences the highest decrease with 7.4 %. In 2012, GDP in the euro area declined by 0.5%, as economic situation also worsened in the core countries. The gap by which Slovenia trails the euro area average further deepened. "The last stumbling block for Croatia's accession to the EU has been removed by solving the Ljubljanska Banka issue." Today, both heads of government, Janez Jansa and Zoran Milanovic, signed the “Memorandum of Understanding” in Mokrice which will permit Croatia to become a full EU member. After years of debate, there seem to be a final agreement in the fight for the insolvent Ljubljanska Banka. The settlement should pave the way for Croatia’s becoming an EU member state. Second estimate for the fourth quarter of 2012: Euro area GDP down by 0.6% and EU27 down by 0.5%. 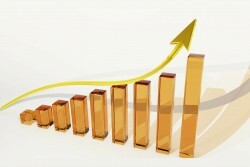 Compared with the fourth quarter of 2011, the growth rates come at -0.9% and -0.6% respectively. Until March 14, the new administration should be nominated. However, 32 % think that the new head of government will not be able to form a government. 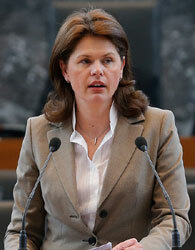 Today, Slovenia´s Lower House of Parliament has elected a new Prime Minister. 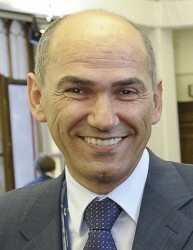 Janez Jansa continues to manage the government business. 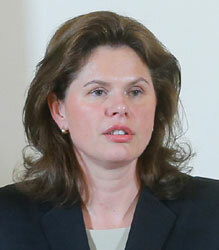 Today, Slovenia´s Parliament will elect a new official head of government. 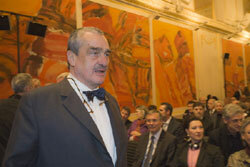 However, Jansa will continue the government business. According to Hypo Group, the results of the Austrian unit for 2012 are “highly satisfying”. Since the middle of last year, the Bank of Slovenia and the Bank Association of Slovenia have been coordinating their action to improve the business conditions for the real sector. Last year, the banking industry has recorded total losses of more than € 600m, the Slovenian business magazine “Finance” reports. Today, the U.S. rating agency has lowered the credit rating of the financially stricken country. Further downgrades are not unlikely. The Slovenian government is under massive pressure. A government collapse is more than likely. In an interview with the Austrian daily newspaper “Presse”, Slovenia´s President Borut Pahor demonstrates optimism. 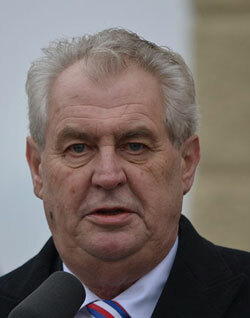 He admits that many Slovenians feel injustice. Regarding the Slovenian banking group NLB, the Slovenian Minister of Foreign Affairs and his Croatian counterpart have found a compromise. The banking system’s high credit risk increased slightly in the first nine months of the year, but at a slower pace than in 2011. Due to the economic crisis, the lending business goes down. The indebtedness of the real economy remains high. Funding costs are increasing. Due to the difficulties in the Slovenian banking sector, the real economy suffers from a credit crunch. Despite the deep political and economic crisis, Slovenia´s Prime Minister Janez Jansa is clinging to power. Yesterday in the evening, the conservative coalition member CL has terminated the co-operation with Prime Minister Janez Jansa´s party SDS. Not only the political situation in Slovenia is precarious, but also the economic outlook is highly uncertain. The government crisis in Slovenia sharpens. Economists warn of a leftist coalition.